Jump On Board at Mississippi Mills Youth Centre! Mississippi Mills Youth Centre, the growing entity and happening little space in the heart of Almonte, is fortunate to be governed by an active, energetic Board of Directors. Many of the current members took the first steps to get the Youth Centre started up and since then have been joined by various other dedicated and talented community members, all of whom have been truly committed to the mission: “supporting youth in the discovery of themselves and their community”. Currently, we are looking for a few new members to round out our Board of Directors. In particular, we are seeking someone with a keen interest and some expertise in the area of communications and marketing. This person would ideally help us come up with some great ideas to make sure that everyone is aware of what MMYC is, who it is for, what types of activities are available and how youth are contributing positively to our local community. Knowledge of and experience with social media, website maintenance and communications planning would all be very helpful. If this sounds like you or someone you know, or if you have other skill sets, experience or ideas that you think might be helpful to our Board of Directors, please contact us at director.mmyc@gmail.com. 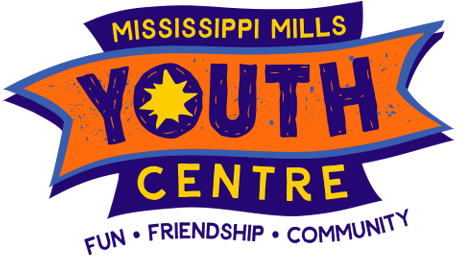 We are a Youth Centre for all youth aged 10-18 in Mississippi Mills and surrounding area. Everyone is welcome! Our values include respect, safety, fairness, inclusion, responsibility, fun, connections, pride and integrity. Our vision is confident, contributing, content youth. Activities include after-school drop-in time, structured programs, community fundraising and more. Now is your chance to come see what we are and who we serve – jump on Board!! For more information about MMYC, visit our Facebook page, our website mmyc.ca or our actual Youth Centre at 134 Main Street East in Almonte.